OPA-LOCKA, Fla. - Surveillance video captured a shooting late Monday night in the hallway of an Opa-locka apartment complex on Washington Avenue. The video shows the gunman walking down the hallway with his arm tucked under his shirt. He stopped, hid behind a wall and waited for the victim. Once the victim passed, the gunman followed him, pulled out a gun and shot the victim, leaving his lifeless body on the floor. The owner of the building on Washington Avenue and Northwest 22nd Avenue told Local 10 News that the gunman is a tenant and that he was seen heading back to his apartment unit after the shooting. He was seen leaving the area on a bicycle. Hours later, Miami-Dade police in tactical gear and armed with long guns searched the building directly behind the apartment. People who live in the area said the suspect is a known face in the neighborhood. 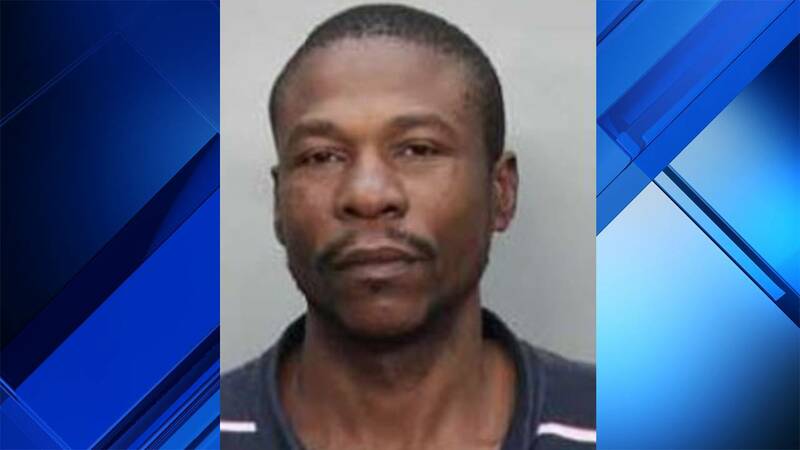 Opa-locka police Chief James Dobson confirmed that the victim and suspect knew each other. He said they had gotten into an argument prior to the shooting. The victim was identified by police Tuesday as 50-year-old Wayne A. Mitchell. Anyone with further information about the shooting is asked to call Miami-Dade Crime Stoppers at 305-471-8477. A reward of up to $3,000 is offered for information that leads to an arrest.